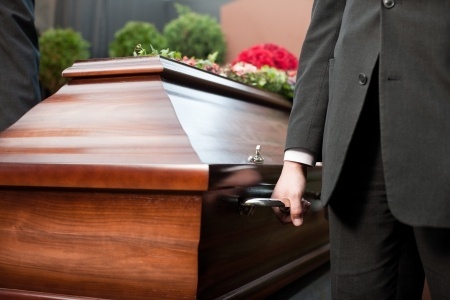 Vosnakis v Arfaras  NSWSC 625 In a recent decision of the Supreme Court of NSW, clarification was given to the difference between a right of burial, and the statutory rights held by a person with a burial licence. The brief facts of the dispute are that the plaintiff’s deceased wife was buried in July 2012 in a plot owned by the deceased’s mother (the defendant). The defendant owned a burial licence to the plot which permitted up to 2 people to be buried in the same plot. The plot where the plaintiff’s wife was buried was adjacent (head to head) to where the defendant’s mother (the deceased’s grandmother) was buried. The adjacent plot also allowed for 2 persons to be buried in that plot. The right to determine who was able to be buried in the plots remained exercisable by the deceased’s grandmother’s estate. The defendant was named as executor of the grandmother’s estate, but she had not obtained a Grant of Probate from the Court. The plaintiff’s wife died without a Will, which meant she died intestate. Letters of Administration of the estate was granted to the plaintiff . This granted the plaintiff the right and responsibility of burying his deceased wife. Evidence was heard about different conversations that occurred shortly after the deceased’s death. The plaintiff asserted that the defendant said to him that he could bury his wife in the plot she didn’t need, and after that, he could also be buried in the same plot with his wife. It was said the plot wasn’t needed by the defendant as the defendant’s father had been cremated and so was not buried with the defendant’s mother. It was alleged the defendant said she would be buried with her mother and that she would transfer the remaining plot over to the plaintiff to allow him to bury his wife in it. This was proposed in the context of then allowing the plaintiff to also be buried in the same plot with his wife after his death. The plaintiff swore under oath he would not have buried his wife in the burial plot had it not been for the conversations with the defendant in which she told him that she would transfer the burial plot to him. He expected, as a result of the conversations, that after the transfer had occurred, he would be able to make arrangements to be buried in the same plot as his wife. The defendant, at some time after her daughter’s death, was given draft documents by the plaintiff to assist her apply to the Supreme Court of NSW for a Grant of Probate for the grandmother’s estate. The Grant of Probate was necessary in order to be able to transfer the burial license to the defendant so she, in turn, could transfer it to the plaintiff. The plaintiff’s solicitor had prepared the documents, which the judge found to corroborate the plaintiff’s evidence of the agreement. The judge observed, “On the evidence, the only reason why [the defendant] would have wanted to obtain a grant of probate of her mother’s will was to obtain the means to cause the second burial plot to be transferred into her name. [The defendant] did not suggest any other reason why, at that stage, she would have wanted to obtain a grant of probate of her mother’s will. Further, no reason was suggested as to why [the plaintiff] would have agreed, at his own expense, to arrange for his solicitor to act on the application for the grant of probate, other than that it was part of an arrangement entered into by [the plaintiff] with [the defendant] whereby he would assist [the defendant] to obtain title to the other burial plot, so that she could be buried with her mother.” Correspondence was provided to the Court by the plaintiff in which he and his solicitor had written and made various offers to purchase the burial licence from the defendant. The plaintiff also offered to attend mediation to try and resolve the dispute. The judge said of the offers by the plaintiff, “The proper way to view [the plaintiff’s] offer, to pay what he suggested was the then current price for obtaining the burial licence, was as a sensible attempt by [the plaintiff] to try to avoid litigation by offering a compromise that involved his paying for the burial licence notwithstanding that [the defendant] had agreed to give it to him.” The plaintiff asked the Court to find that there was a legally binding agreement made between him and the defendant, that the defendant should be prevented from denying the existence of the agreement, and that the agreement should be carried out. The defendant said that there was no written agreement, the plaintiff did not pay for the burial plot or suffer any loss, and that the plaintiff had actually enjoyed the financial benefit of not having to pay for a burial plot. The judge considered the complex rights and interests that are granted to the living in respect of the right to bury a body, and the interest’s people may have in land and licences to bury a body. The Cemeteries and Crematoria Act 2013 (NSW) commenced on 1 November 2014 while the judge was considering his judgment. Although the parties were unable to address the effect of the new legislation, the judge was satisfied the outcome would not be affected. The question of whether the remains of the plaintiff’s wife could be exhumed and placed in another grave was considered. There is a formal process of application to the Director-General of the Department of Health pursuant to the Public Health Regulation 2012 (NSW) in order to have remains exhumed. That meant an application would have to be made, which may not be approved, and it would involve the removal of remains from a grave which was not desirable in the circumstances. The judge found that from the time the plaintiff’s wife was buried in the plot, the plaintiff became entitled to an irrevocable licence to prevent his wife’s resting place from being disturbed. That right did not, however, extend to allow the plaintiff the right to nominate who else may be buried in the same plot. The judge also found that the conversations about the transfer of the burial licence were not legally binding and did not give rise to any contractual obligations between the plaintiff and the defendant. This was largely because there was no real evidence of an intention to create legally binding relations between the plaintiff and the defendant. That nature of the family discussions and arrangements were important in reaching this finding. Despite what the judge found above, he also found that the defendant had induced the plaintiff to bury his wife in the plot on the promise that he would be able to also be buried in the same plot at a later time. The judge commented that, “[i]t is probable that [the defendant] understood, and if not she ought reasonably to have understood, that [the plaintiff] complied with her suggestion on the understanding that she would honour her promise to transfer the burial licence to him. It is also probable that she understood, and if not she ought reasonably to have understood, that as [the plaintiff] appeared to want to be able to ensure that he would be buried with his wife, and as he had the right of burial in relation to his wife, he would not have caused his wife to be buried in the burial plot, if he had been told before the burial that [the defendant] would renege on her promise”. In the judge’s view, there would be no significant detriment to the defendant if the burial licence was transferred to the plaintiff, as the defendant had said she wished to be buried with her mother, not with her daughter. Importantly, the judge held found that “it was against conscience” that after the plaintiff had been induced by the defendant’s promise, that he was then allowed to exhaust his right of burial by allowing his wife’s body to be buried in the plot owned by the defendant. The reliance on that promise, which resulted in detriment to the plaintiff, warranted the Court finding that the state of affairs that was assumed (regarding the transfer of the burial licence) should be fulfilled. Despite not necessarily being of economic value, the equitable jurisdiction of the Court does in certain circumstances protect emotionally significant interests, including the right to determine where a person’s body may be buried. To give effect to the findings he made, the judge made orders to the effect that the defendant transfer the burial licence to the plaintiff, and further, ordered her to pay the plaintiff’s costs of the proceedings as well as her own. Whilst it is unfortunate that this matter was litigated, it provides valuable insight into how arrangements made at difficult and emotional times are not always carefully considered or legally binding. 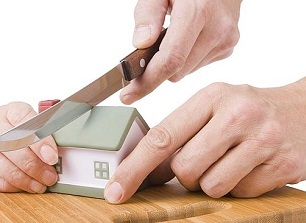 You should always obtain legal advice when your legal rights are being affected in any way otherwise you risk further and more expensive disputes arising even from seemingly simple and straightforward ‘family arrangements’.